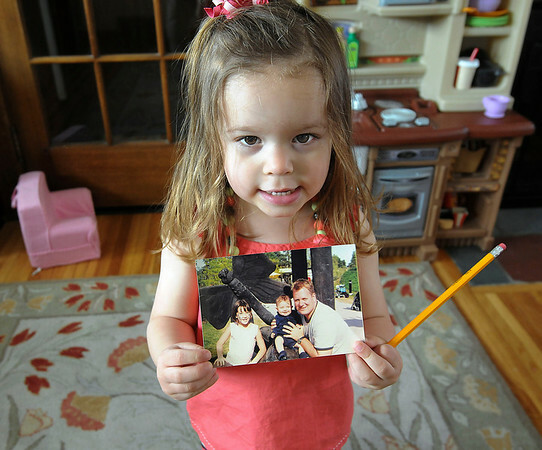 James Neiss/staff photographerNiagara Falls, NY - Young Emma Neville, 2, holding a photo of her siblings Peter, 8, and Rose, 14, with their father Peter Neville, didn't get a chance to know him. Peter Neville was killed in an industrial accident at Norampac. Saturday is the two-year anniversary of his death and his wife Mara Slipko-Neville, is still trying to get someone at the federal level to help her change the rules regarding workplace safety.